coming soon: flannel work shirt. 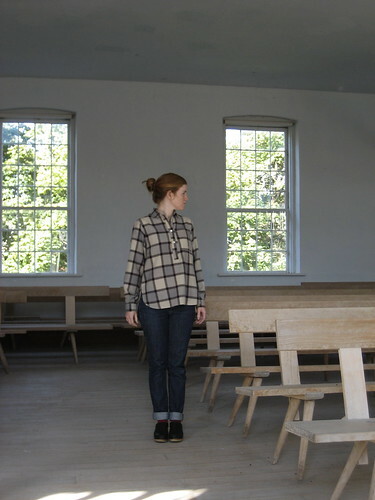 | Anna Allen Clothing Blog: coming soon: flannel work shirt. This is my newest design that I've been working on. It's made of a lovely cotton/wool flannel. I have enough fabric for five tops so once they are gone, they are gone. 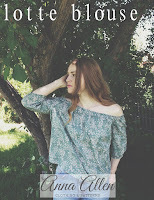 I've been following your blog for a few months now and like it. Think I first came across it on Elly's blog. Where did you get your nice clogs? SO cute!! Is that the church you live in?? SO pretty!! I remember first seeing "Graceful Lady" when I started doing historical costuming in High School! Ive loved seeing the way you blog now! 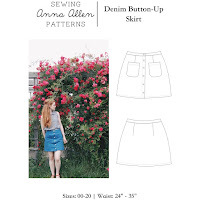 Anna, Love the fabric you chose for that shirt. Totally perfect for that style! Also those clogs are great!! So excited for you and the new heights your business is reaching!